A criminal defense lawyer discusses strategies to win a jury trial based on self-defense. When a person acts in lawful self-defense, the law excuses his use of force and he is not liable for a crime. The right of self-defense does not permit every use of force, however. The force must be reasonable under the circumstances and respond to an immediate threat of physical harm. Whether a particular use of force is a lawful exercise of self-defense is ultimately for a jury to decide. What motivates a lawyer to defend a Tsarnaev, a Castro or a Zimmerman? 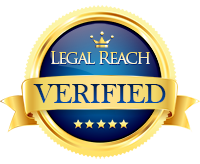 Our firm is unique in that we specialize in both criminal and immigration cases. There are many times the two areas of law go hand in hand, and additional preparation and negotiation is necessary beyond that of a client that is a United States Citizen. A client’s life could potentially be destroyed if this extra preparation is overlooked.